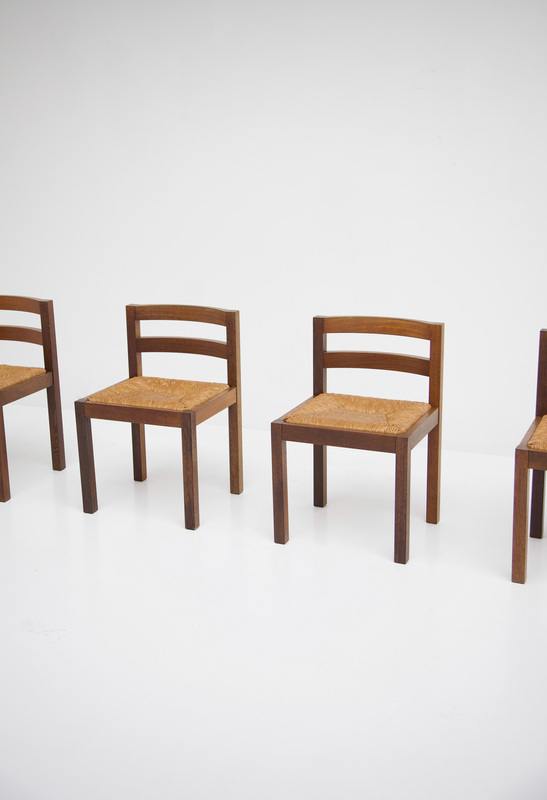 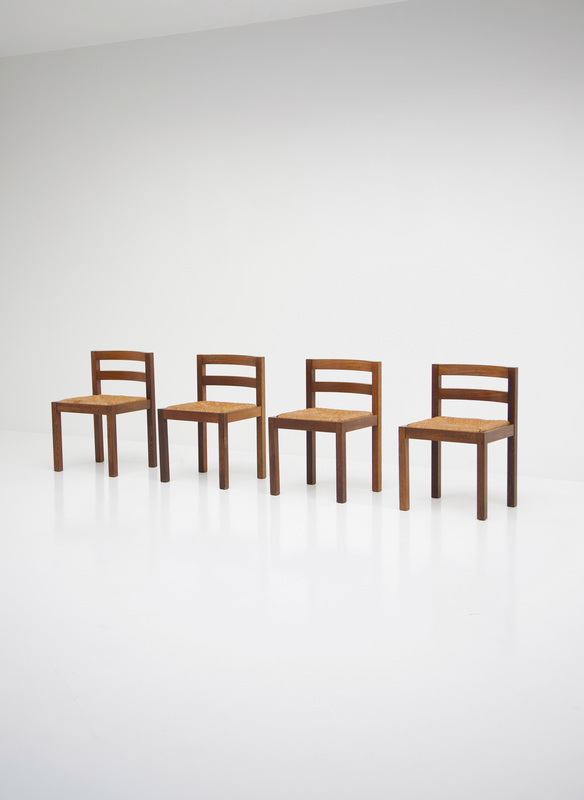 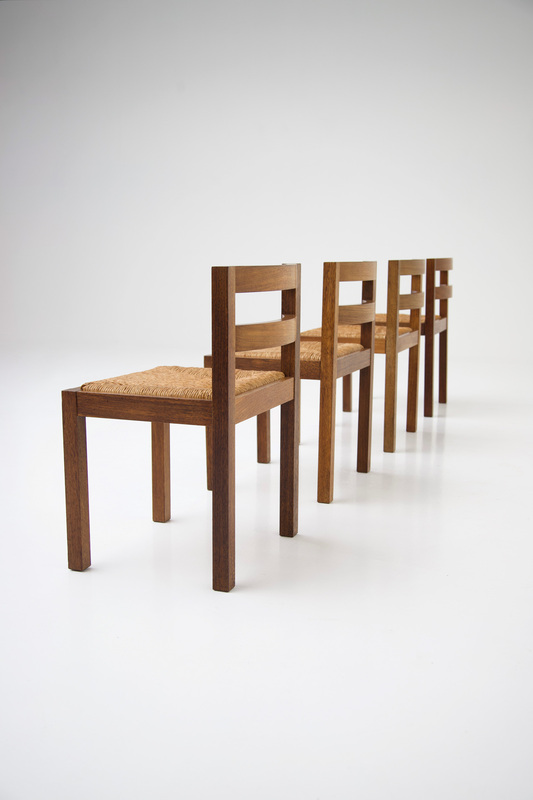 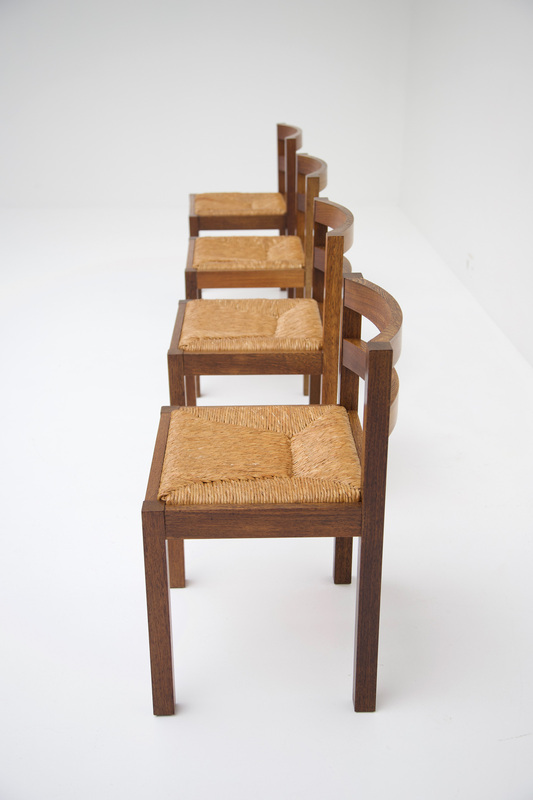 Set of 4 chairs designed by Martin Visser for t Spectrum in the 60s. 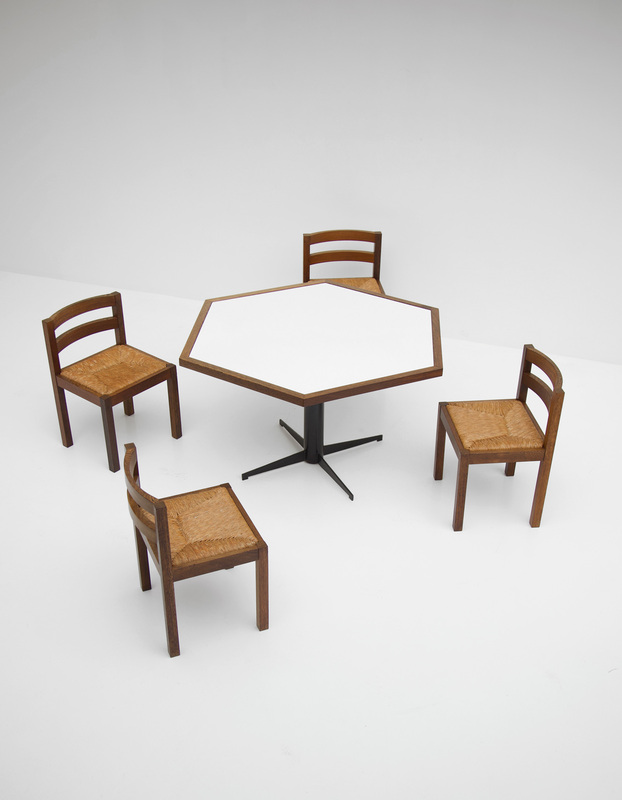 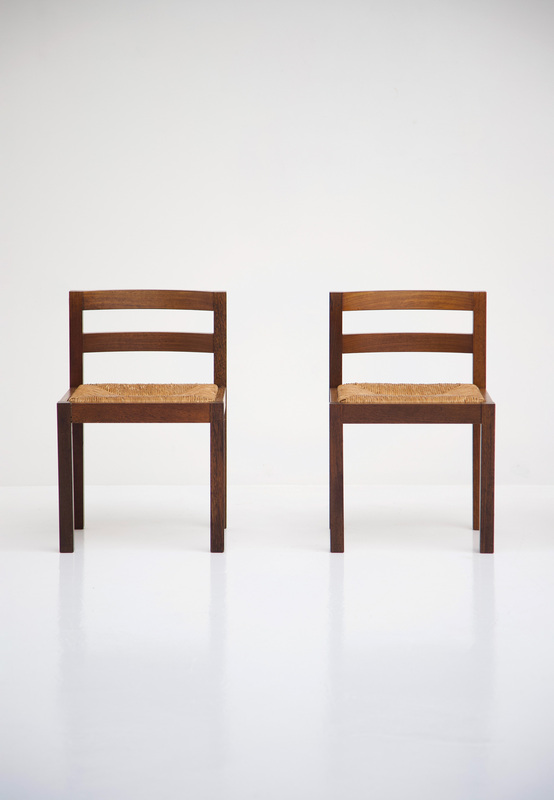 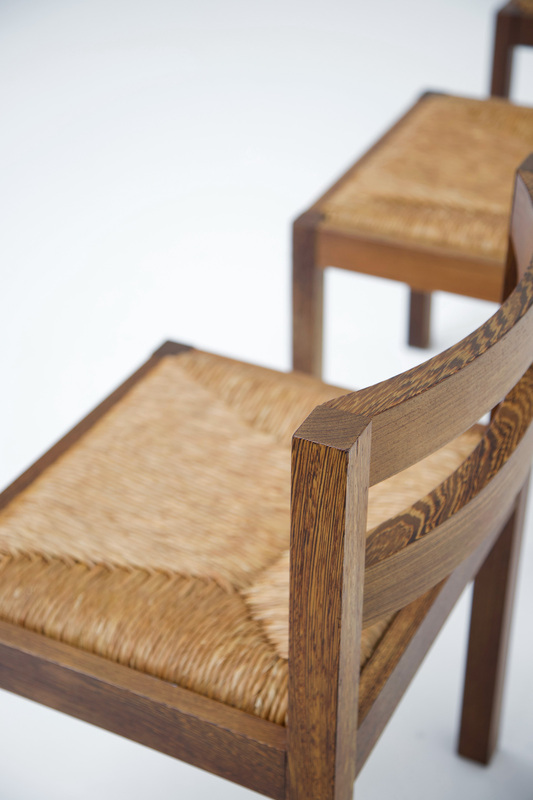 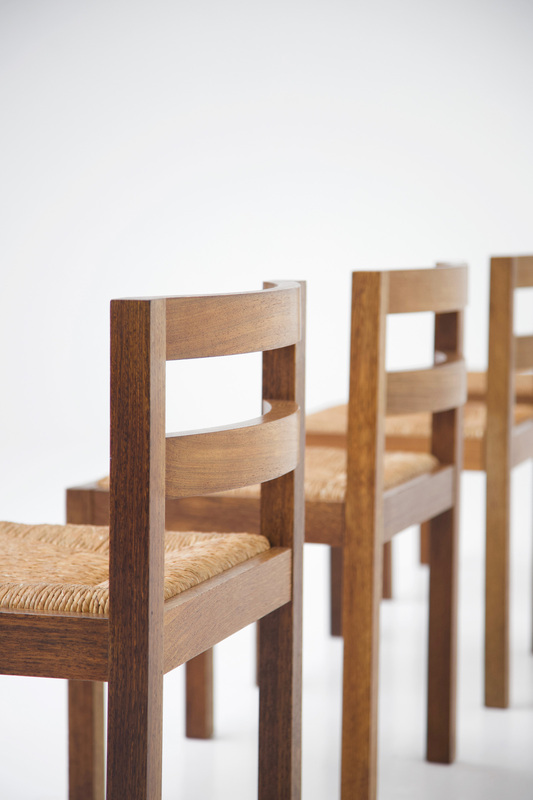 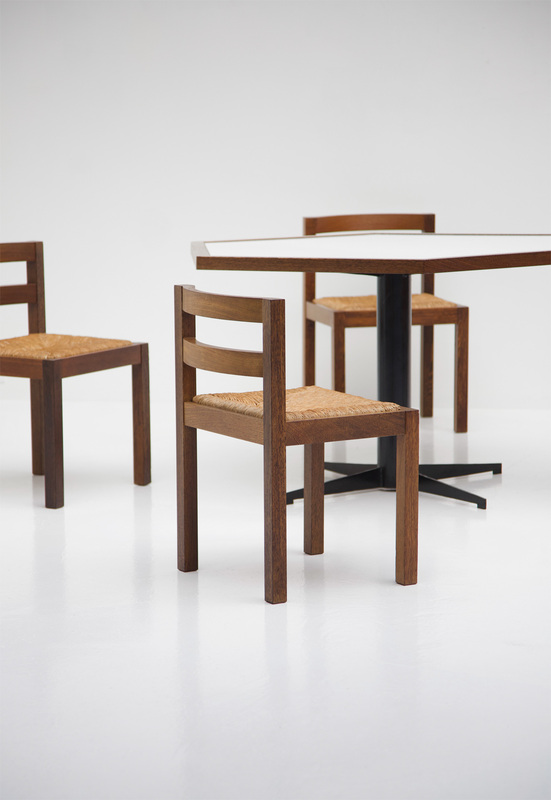 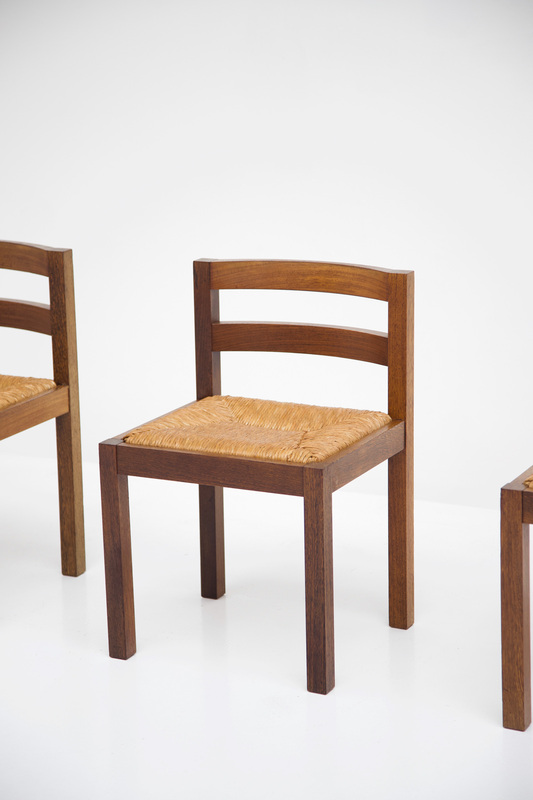 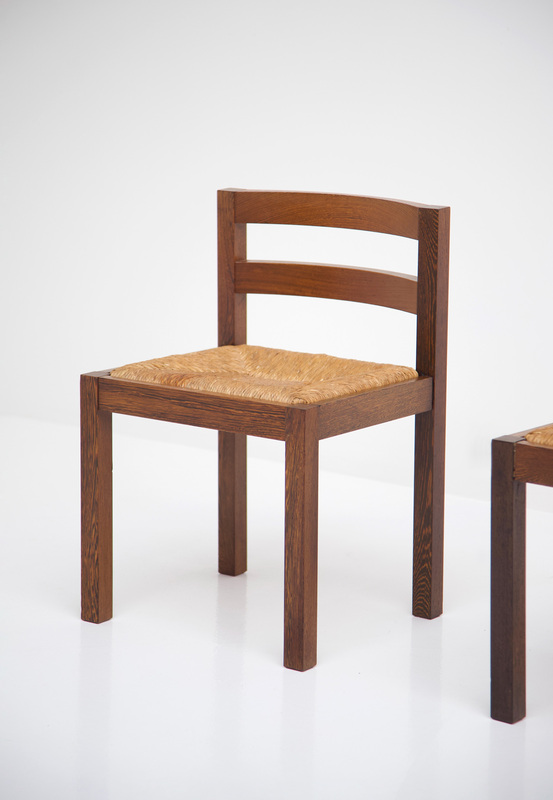 The frame of the chairs is made of solid wengé and a rattan seat. 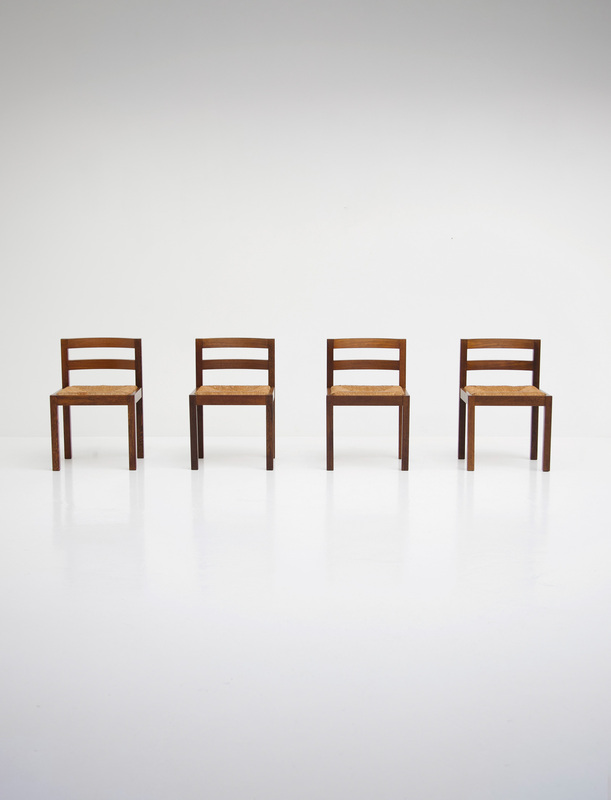 All chairs stand in a good and original condition.